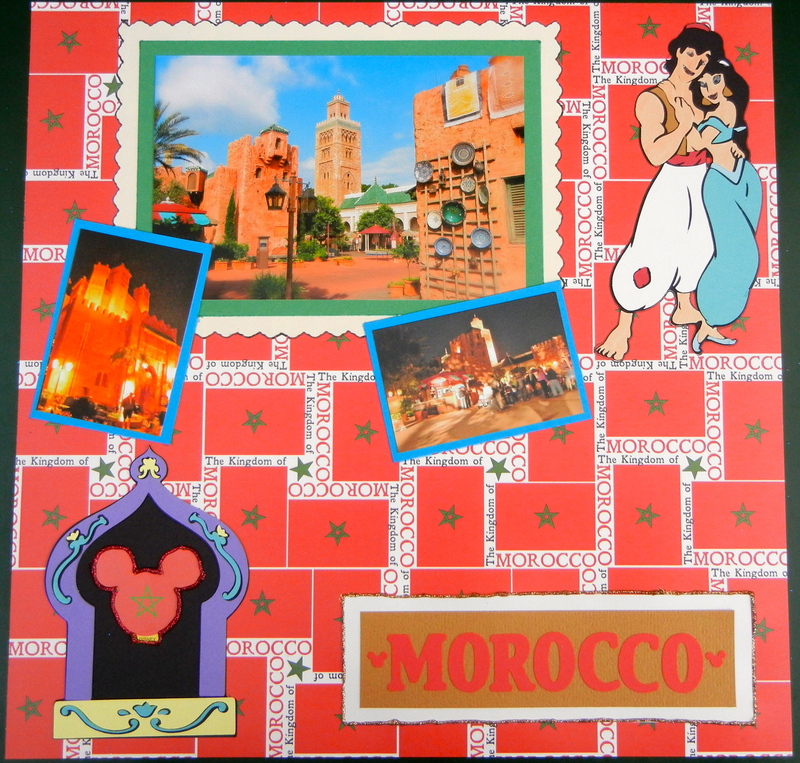 Some photos taken at the Morocco Pavilion at EPCOT. The paper is SYT. Aladdin and Jasmine and the border around the Mickey sticker were cut with the Dreams Come True Cricut cartridge. The title was cut with the Base Camp Cricut cartridge. The Mickey sticker and Mickey head punch were purchased at Walt Disney World. Finally, the Mickey sticker was outlined with Cranberry Stickles and the title block was outlined with Champagne Stickles. The pictures were outlined with Baby Blue, Pure Green, and Black ZIG Writer Markers.